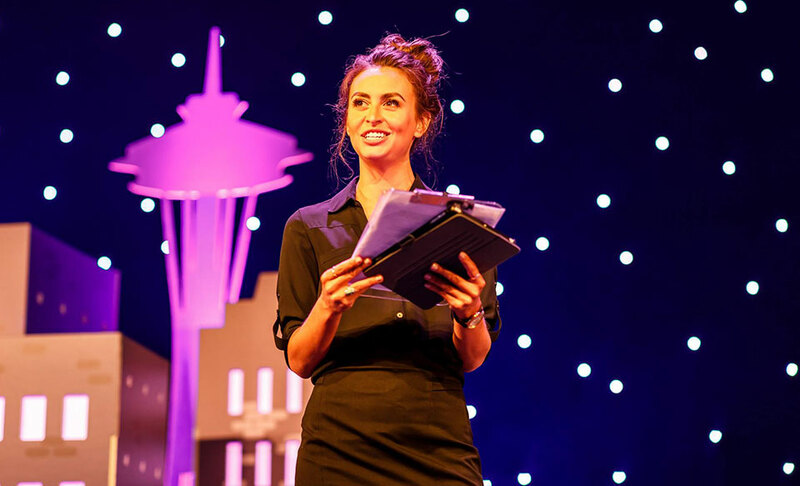 SEOlium: Britney – when, how and why did you decide to learn SEO and do it for a living? Britney Muller: My path is a bit odd in that I couldn’t find a job that I wanted after college, so I decided to pack up my things and moved out to Breckenridge, CO to snowboard fulltime and wait tables at night. After a few months I went stir crazy and started to get into some trouble hacking websites. Thankfully, I connected with a local realtor on Twitter, Pete Deininger, who had an idea for me. Pete saw that I graduated with a degree from University of Minnesota’s School of Journalism and asked if I would write some local listings for the homes he was trying to sell. Soon after I started, he introduced me to SEO and showed me how I could discover how many people a month were searching for “ski in ski out single family home peak 9 breckenridge” and my life was forever changed. Was able to help Pete sell a few very expensive homes and knew this is what I wanted to do. Was then recruited to work with Rich Staats at Secret Stache Media in Vail, CO and then started my own agency, Pryde Marketing, a year after that. Britney Muller: Rand and I had known each other through the speaking circuit and I think he magically picked up on my burnt-out-founder vibe. He reached out and let me know Cyrus was leaving and that I should consider applying. –Didn’t have to think twice. The timing was perfect, I desperately needed a change and was already in the process of letting some clients go and securing jobs for my employees. SEOlium: What makes you love SEO so much? Britney Muller: That it’s always changing! It keeps you on your toes and there are always new things to learn and test. SEOlium: Are you ever involved in HR activities? What do you think makes an excellent SEO expert? Britney Muller: Curiosity! One of my favorite interview questions to ask is what was the last thing someone has learned outside of work and why? Competitiveness is a close second. You have to be scrappy and really want it to succeed in this industry. SEOlium: How do you recognize optimization opportunities? Is SEO science or poetry? Britney Muller: Great question! Hmm… I like to think it’s a bit of both. You need the right data/science to start, but in order to tease out the big opportunities you have to have a special eye for it. –When normal words start to look really bizzare while doing keyword research, you’re doing it right! After that, it’s a lot of poetry in motion. Analyzing competitors, executing changes, testing, monitoring, and pivoting are all key to hit the right notes. SEOlium: Can you share some examples of how big data lead to big improvements? 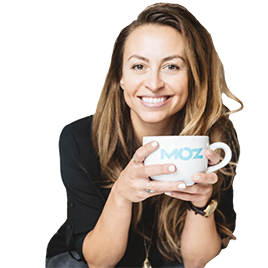 Britney Muller: One of my favorite examples is when I did an indexation audit of Moz’s pages. Because there were a million+ indexed pages, I knew I couldn’t do it by hand, and started to drill down by folder paths. Actually did a lot of this manually using the Advanced Google Operator: site:moz.com/community/q, etc. What surprised me was the majority of pages (~175,000) were very thin, low quality community profile pages. A lot of these appeared to be bot generated and filled with spam. I fought to get majority of those pages meta noindex and we immediately saw improvements. Organic traffic lifted 8.97% the following month and was up 11.07% over the previous year. I think there is a lot to be said about content pruning low value pages to show Google that your website cares about quality. Britney Muller: Overly scientific approaches can certainly kill off some SEO magic! People can absolutely have both though. Two of my favorite SEOs who beautifully possess both is Alexis Sanders and Glen Allsopp. They each push boundaries, think way outside the box and then methodically test their ideas. SEOlium: How would you say SEO changed in the past 10 years and what the future has in store for us SEOs? 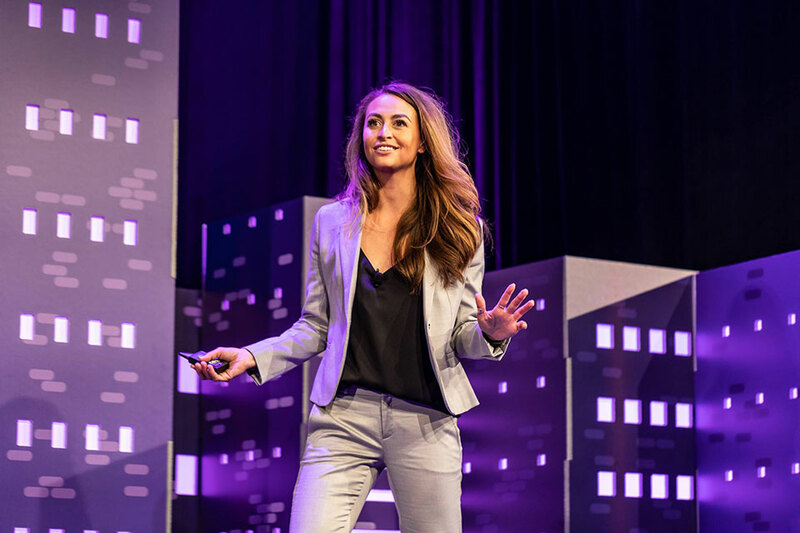 Britney Muller: SEO has evolved to be much less about gaming the system, to producing really high quality content and aligning your delivery with what Google is serving in your space. Specifically around SERP Features, we never had to worry about those in the past, and now we are constantly discussing ways to format and organize content in a way that Google accepts us into a specific Featured Snippet, PAA, Carousel, etc. My prediction for the future is that SERP Features will continue to evolve to help solve searchers queries and we as SEOs will need to stay on our toes in order to adapt to the ever changing SERP landscapes. I also strongly believe that Google will get more and more up in our business (literally). They will do this by using more and more real-world data about our business, transactions, foot traffic, repeat visitors, etc. in order to better serve searchers the best businesses available. SEOlium: How is SEO for a big site different from SEO for a small and medium website? Britney Muller: SEO for a big site involves a lot more technical lifting in order to diagnose large scale website issues, page audits, opportunities, etc. Database knowledge, SQL, RegEx, and Python are all very helpful tools to do some of the heavy lifting. If you aren’t comfortable with some of these, you can learn the basics online or get a developer to help you. I’m actively working with some other technical SEOs to help make some of these tools and programs more accessible to non-technical SEOs. Small and medium website SEO fundamentals are typically more straightforward and easier to get a handle on. This allows you to focus on higher level SEO strategy, keyword opportunity gaps, content generation and promotion. SEOlium: I know you have a lot of friends and people in the industry that you admire. Can you name a few and tell us why? Rand Fishkin is a SEO Demigod. He’s done more for the SEO industry than most of us combined. Love watching him tackle new problems at SparkToro with the same brilliant tenacity he had at Moz. Aleyda Solis is a true International SEO expert. She is always open to questions and has so much experience in all the different realms of international SEO. Mike King is a technical SEO badass. Absolutely love mental sparring him when I can and keeping up with his new discoveries. Krista Seiden is a breath of fresh air and an incredible person to follow for all things Google Analytics related. JR Oakes is successfully automating SEO tasks via high level python, machine learning, matplotlib, etc. Cannot wait to continue to learn from him and see where he goes! Dana DiTomaso presents complex SEO information in beautifully simple ways. She’s also always on the cutting edge of all things digital marketing! David Mihm is a local SEO genius and always pushing boundaries. Heard he’s a scratch golfer too!? We need to start an SEO Golf Scramble! Emily Grossman is smart as a whip and always learning cool new things. I love her so much! Wil Reynolds always keeps it 100 and is constantly pushing the limit on making SEO more efficient and effective. SEER will continue to thrive because of his leadership and perspective. Cindy Krum is a mobile SEO maven who can seriously see 20 years into the future. Paul Shapiro continues to bring technical SEO back to the forefront of the industry in new and exciting ways. Cannot wait for TechSEOBoost this year (conference sessions are streamed online for free). SEOlium: Imagine Google granted you 3 wishes. The truth about any questions you might have. What would those be? What are the most important ranking factors (in order) for local SEO? How important are links today and what are your plans for links in the future? What industries are you going to disrupt with new SERP Features? Britney Muller: Go break stuff!!! Put what you’re learning to the test on your own test domains. It’s the best way to learn the ins and outs of Google, while also challenging common SEO practices and gaining confidence.